The Business Delegate pattern adds an abstraction layer between presentation and business tiers. 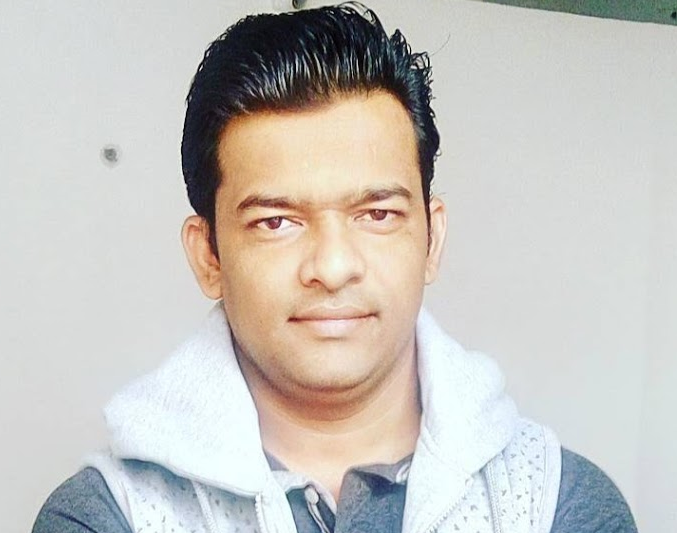 By using the pattern we gain loose coupling between the tiers and encapsulate knowledge about how to locate, connect to, and interact with the business objects that make up the application. Business Delegate Pattern is used to decouple presentation tier and business tier. Let's discuss how Business Delegate Pattern decouples presentation tier and business tier with a class diagram and source code. You want to access the business-tier components from your presentation-tier components and clients, such as devices, web services, and rich clients. You want to minimize coupling between clients and the business services, thus hiding the underlying implementation details of the service, such as lookup and access. You want to avoid unnecessary invocation of remote services. You want to translate network exceptions into application or user exceptions. You want to hide the details of service creation, reconfiguration, and invocation retries from the clients. Use a Business Delegate to encapsulate access to a business service. The Business Delegate hides the implementation details of the business service, such as lookup and access mechanisms. BusinessDelegate - The BusinessDelegate’s role is to provide control and protection for the business service. ServiceLocator - The ServiceLocator encapsulates the implementation details of locating a BusinessService component. BusinessService - The BusinessService is a business-tier component, such as an enterprise bean, that is being accessed by the client. Let's refer the above class diagram and write source code to define Business Delegate Pattern. Let's create source code step by step with reference to the class diagram. 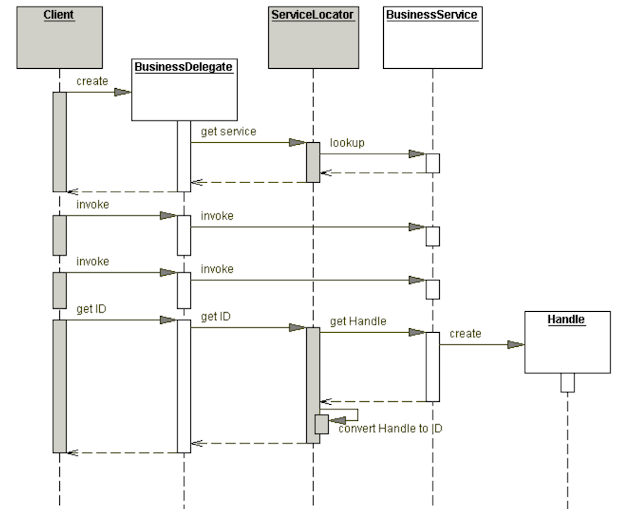 Step 1: Create BusinessService Interface. Interface for Business service implementations like JMSService and EJBService. Step 2 : Create concrete Service classes. This is Service EJB implementation. //This is Service JMS implementation. Step 3 : Create Business Lookup Service. Class for performing service lookups. This class acts as ServiceLocator encapsulates the implementation details of locating BusinessService components. *            Type of service instance to be returned. Step 4: Create Business Delegate. BusinessDelegate separates the presentation and business tiers. Step 5: Create Client. The client utilizes BusinessDelegate to call the business tier. Step 6 : Use BusinessDelegate and Client classes to demonstrate Business Delegate pattern. In this example, the client utilizes a business delegate to execute a task. The Business Delegate then selects the appropriate service and makes the service call.